An internationally renowned poetry library, the Poetry Center sponsors numerous University and community programs, including readings and lectures, classes and workshops, discussion groups, symposia, writing residencies, poets-in-the-schools, poets-in-the-prisons, contests, exhibitions, and online resources, including standards-based poetry curricula. An area of special emphasis within the College of Humanities, the Poetry Center is open and fully accessible to the public. Monday 9:00 a.m. to 8:00 p.m.
* On Thursday evenings when we host a Reading & Lecture Series event, the library will close one hour early, at 7:00 PM. For our calendar of events, see poetry.arizona.edu/calendar. 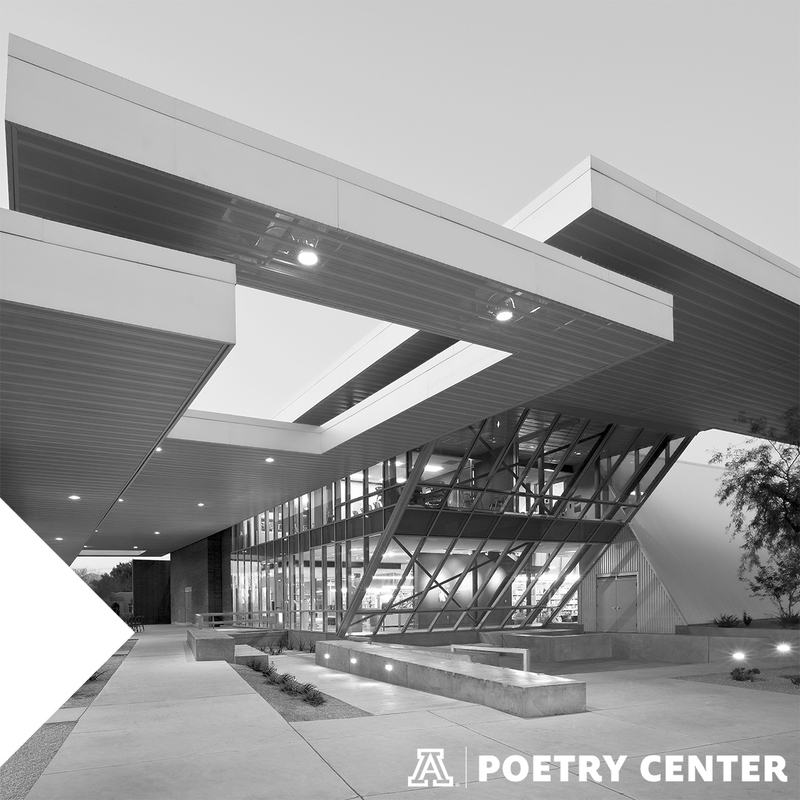 From May 13-August 25 the Poetry Center will be closed on Mondays. All other hours will remain the same (Open Tuesday-Saturday). School year hours will resume Monday, August 26, 2019. Free parking is available in Zone 1 lots around the Poetry Center after 5:00 p.m. on weekdays and all day on weekends. Paid parking is also available in the Highland Avenue Garage, across the street from the Poetry Center. A condensed version of the Poetry Center's Code of Conduct is posted in the Center's library. For a view of our complete Code of Conduct and Poetry Center policies, click here: Poetry Center Code of Conduct. You can take a virtual tour of the Poetry Center online using our panoramic viewer.